Bill Morneau is preparing to use emergency safeguard measures for the first time to respond to the risk of a surge in cheap foreign steel imports. The finance minister launched a short public consultation process Tuesday, as U.S. steel tariffs continue to disrupt and divert global steel shipments. 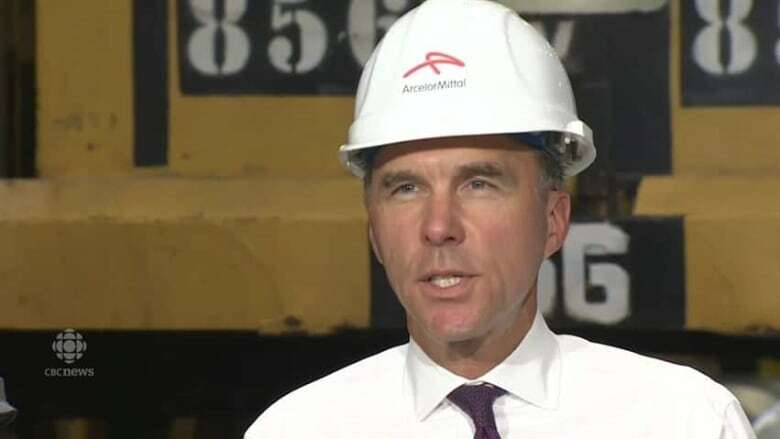 Bill Morneau is preparing to use emergency safeguard measures for the first time to respond to the risk of a surge of cheap foreign steel imports. 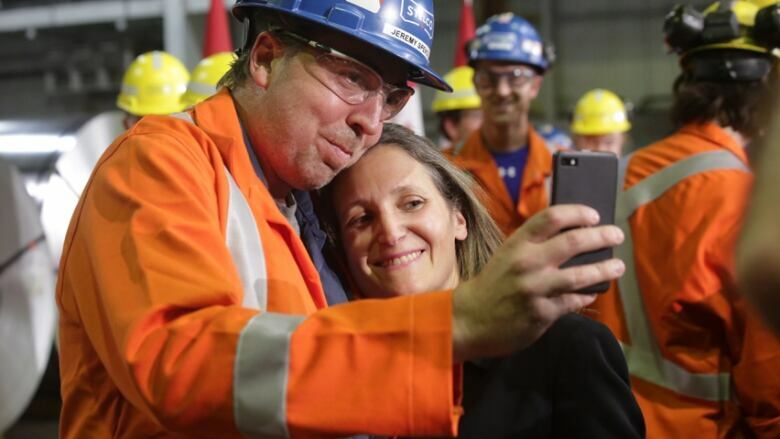 "Canada's now at risk for a surge" that could harm Canadian steel producers and workers, Morneau said today while visiting a steel plant in Hamilton, Ont. The 25 per cent steel tariffs levied by the United States last spring "represent an exceptional circumstance." The Trump administration's protectionist measures continue to reverberate across a global industry that was already producing too much steel. Canada wants to avoid the dumping of inexpensive imports, something that damages its domestic industry and threatens jobs. It also wants to avoid being accused of being a "back door" for cheap steel entering the U.S. as inexpensive foreign product is imported into Canada — perhaps modified in some fashion — and then exported onwards. To accomplish this, Morneau is reaching for a legislative tool the federal government hasn't used before — one that allows him to apply tariffs first and investigate the rationale later: Section 55 of the Customs Tariff Act. "This has never happened before. But we say that about Trump, and about NAFTA, and many things these days," said Cyndee Todgham Cherniak, founder of Toronto's Lexsage international trade law firm. Safeguards available under the emergency measure can take the form of surtaxes or import quotas, or some combination of the two. Under World Trade Organization rules, countries can apply safeguard measures to protect their domestic industries only under specific circumstances. Canada has never implemented a Sec. 55 safeguard measure, which allows the minister to put duties in place first and then hold an inquiry through the Canadian International Trade Tribunal to hear from affected industries and analysts, to determine if "goods are being imported under such conditions as to cause or threaten serious injury to domestic producers of like or directly competitive goods." The tribunal could either overturn or support the minister's decision. The Customs Tariff Act would allow a country with whom Canada has a free trade agreement —such as South Korea, in the case of steel — to be exempted from the minister's new tariff. In another other case this spring, the tribunal determined there is a "reasonable indication" that the dumping of steel from China, South Korea and Vietnam has "caused injury or (is) threatening to cause injury to the domestic industry." The decision to apply safeguards could be a difficult one for Morneau, however. If they aren't carefully designed, they could work too well and trigger a shortage of steel available to Canadian manufacturers, disrupting more supply chains and risking more jobs. "Everybody needs to be heard," Morneau said. The consultation period allows the government to "understand the complexity of what is happening as a result of these tariffs." 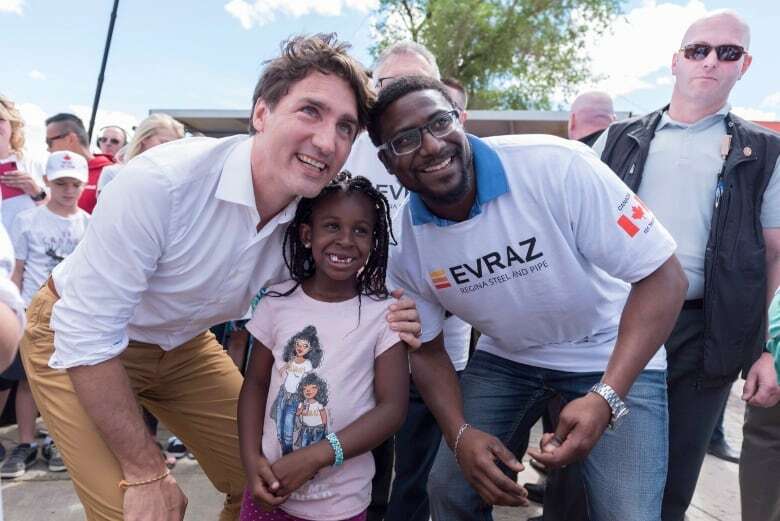 Todgham Cherniak pointed out that Morneau is the fourth cabinet minister to visit a steel mill since the trade dispute started; Prime Minister Justin Trudeau visited a Regina steel facility on Canada Day. "They are going from steel mill to steel mill making their announcements. This is purely a political move going into 2019," she said, referencing the next federal election. She said the Liberals appear to be favouring domestic steelworker jobs over other manufacturing jobs that could be lost further down the supply chain, and sacrificing the consumers who will pay higher prices. Canadian steel shipments, along with those from fellow NAFTA partner Mexico and the European Union, were exempt at first from the 25 per cent tariff levied by the U.S. administration of President Donald Trump. But by late May, that changed, and these three U.S. allies also faced the tariff. Canada retaliated with a 25 per cent duty on imports of steel products from the U.S., but that doesn't apply to steel coming in from other places. Chronic steel overproduction has started to abate, particularly in China, the source of much of the troublesome global surplus. The U.S. tariffs, and the retaliation that followed, has pushed steel prices upwards, causing construction industries to warn new buildings could become unaffordable. Trump and other members of his administration have made comments suggesting the U.S. sees its steel tariffs as leverage to obtain better trade deals from its partners, including Canada and Mexico at the NAFTA table. "If Canada imposes duties at the same level as the U.S., 25 per cent, then there will not be an incentive for the Chinese steel to come to Canada," Todgham Cherniak said. "Then we can go to the U.S. administration and say, 'See, we took action.'" The federal government needs to cross this demand off the American list before it can finalize NAFTA negotiations, she said. Morneau said Tuesday that NAFTA is "separate and distinct" from the question of steel safeguards. "The consultation process is very clearly about making sure we have a stable steel market. Separately, of course, we're working to make sure that we can get back to the table on NAFTA," he said. Canada's approach could mirror one taken by the European Union last month. On July 18, the EU set import quotas for 23 types of steel products. In each category, a tariff of 25 per cent is applied when the volume of imports exceeds the average amount the EU imported over the last three years — meaning the extra cost for the foreign steel is triggered only when volumes suggest dumping could be underway. The EU quota is allocated on a first-come-first-served-basis, rather than discriminating against any individual exporting country, as required by WTO rules. Morneau said Canada has been consulting with its allies, but it's taking actions "that make sense for the Canadian market right now." Shutting the back door to the U.S. The federal government has been trying to defend itself against charges that it lets too much cheap foreign steel across its borders. In April, Prime Minister Trudeau announced $30 million in increased funding to crack down on what the industry calls transshipments — foreign steel and aluminum moving through Canada into the U.S. The Canada Border Services Agency (CBSA) now has more power to identify and stop companies that try to avoid duties, and to investigate whether prices charged in an exporter's home market are fair. Canada already has launched investigations to determine whether some fabricated industrial components from China and South Korea are unfairly subsidized, and whether corrosion-resistant steel sheeting from China, India and South Korea is being illegally sold in Canada at unfairly low prices. "My clients will be arguing at the [tribunal] that there is no merit to imposing [more] tariffs and quotas," Todgham Cherniak said, predicting a battle between trade lawyers and economists representing the domestic steel industry on one hand, and downstream industries on the other. "This is purely political on many fronts. It's not economic." Three NDP MPs called a news conference in Windsor, Ont. Tuesday to call for a "national tariff task force," focused on defending Canadian jobs in industries targeted by U.S. tariffs: steel, aluminum, softwood lumber and, perhaps in the future, automotive.